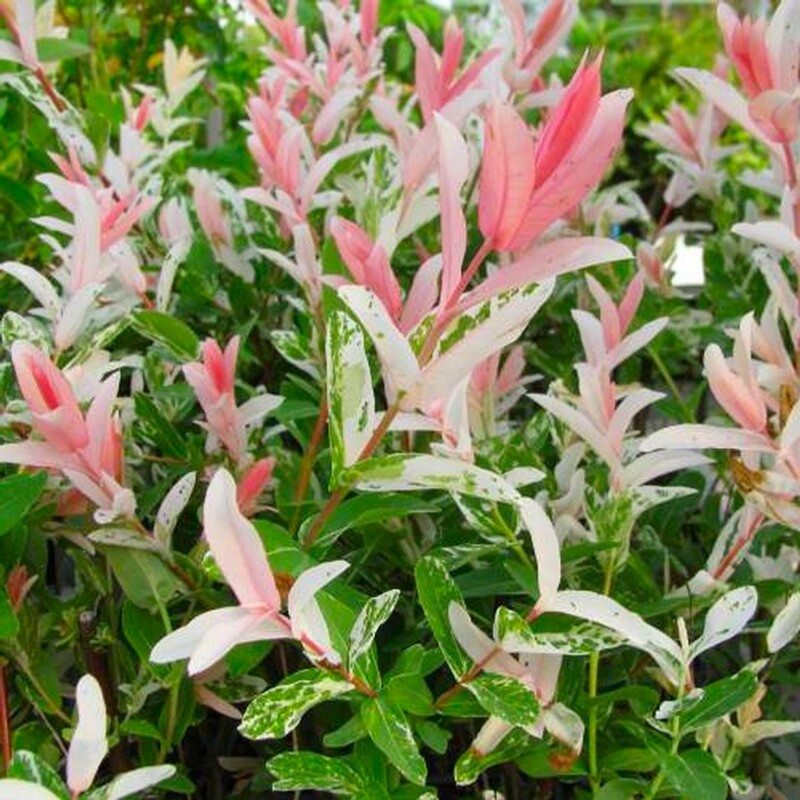 These Hakuro Nishiki or Flamingo Salix are an extremely popular plant. Elegant and fast-growing with new shoots which are heavily blotched with white and pink, fading as the leaf ages. Slender yellow catkins appear in spring before the leaves. 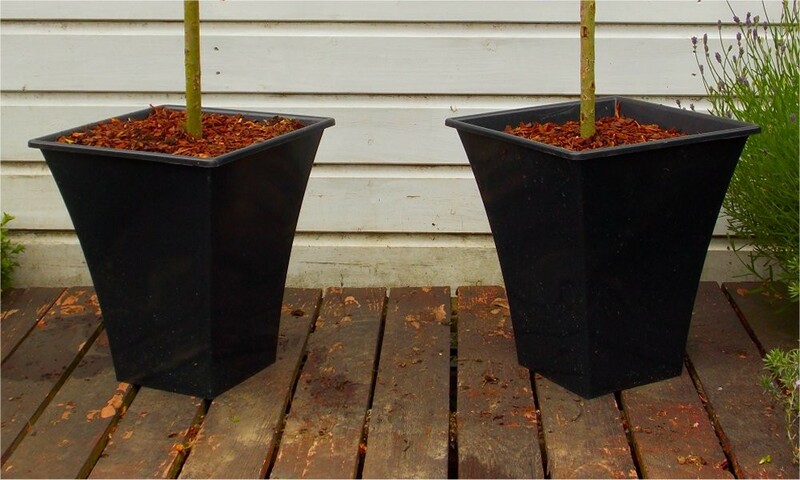 The branches are long and slightly droop, giving a relaxed feel making it an ideal small tree for growing planted in a pot on the patio, which is why we are supplying two lovely flared black planters. It will grow no taller than it's current size but will thicken right out year on year to provide an ever better show. 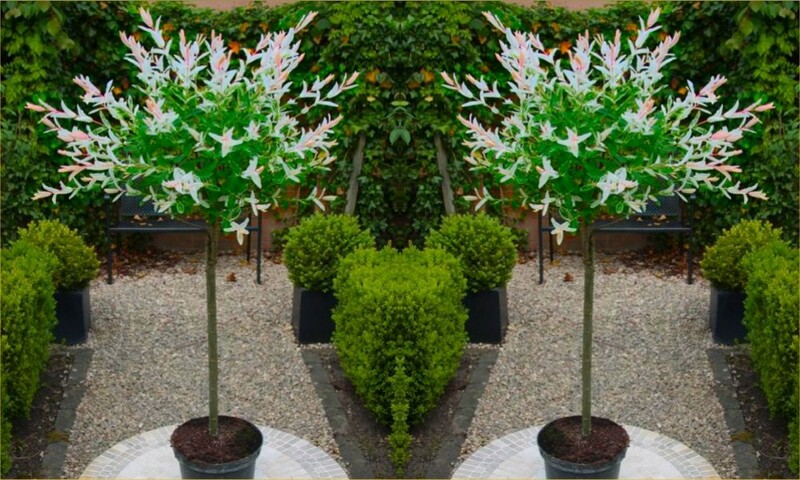 Pair of attractive strong plants supplied as pictured, with an approx height of 100cms. Overall height around 120-140cms when you have planted them into the attractive large flared planters. The two planters provided combine an attractive, opulent look and are very durable and rot-proof. They will not decay like similar looking planters on the market thanks to the quality materials used in their construction. "I was searching for a black planter! but could not find anything I liked locally. 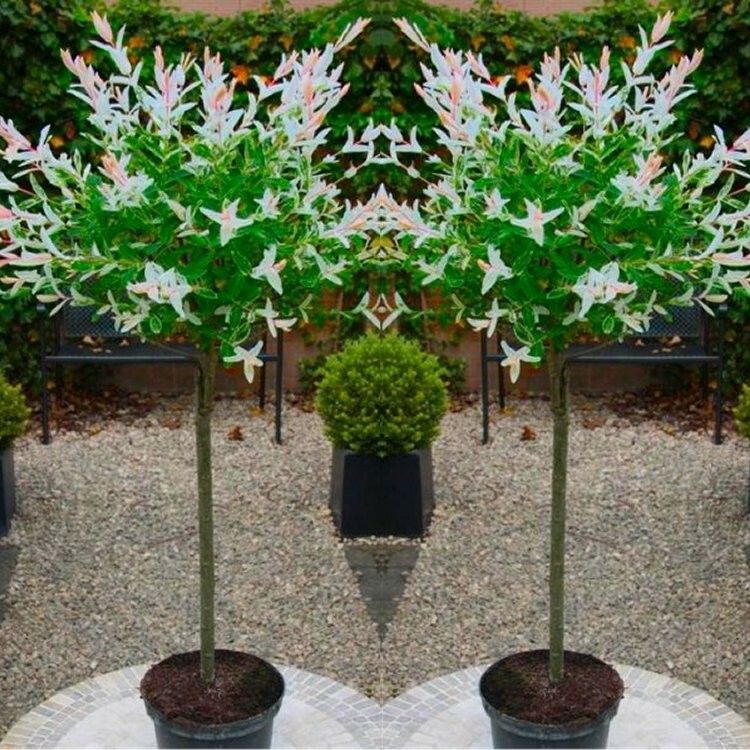 This is a lovely item, I AM so PLEASED WITH IT"
"Just wanted to say my Salix Standard plants arrived safely, in great condition and I am delighted with them. They were extremely well packaged and I was very impressed. They were expertly delivered by UPS. Thanks for responding to my previous communication and I will definitely be buying from you in future. Well done! Many Thanks"
Don't forget to check the rest of our range, as we have some wonderfully inspirational other items for your garden that you can purchase at the same time with no extra delivery charge!